… in the meantime, as a temporary solution I decided to put the birds in the 6×6 enclosure I’d made for the Welsh Harlequins. 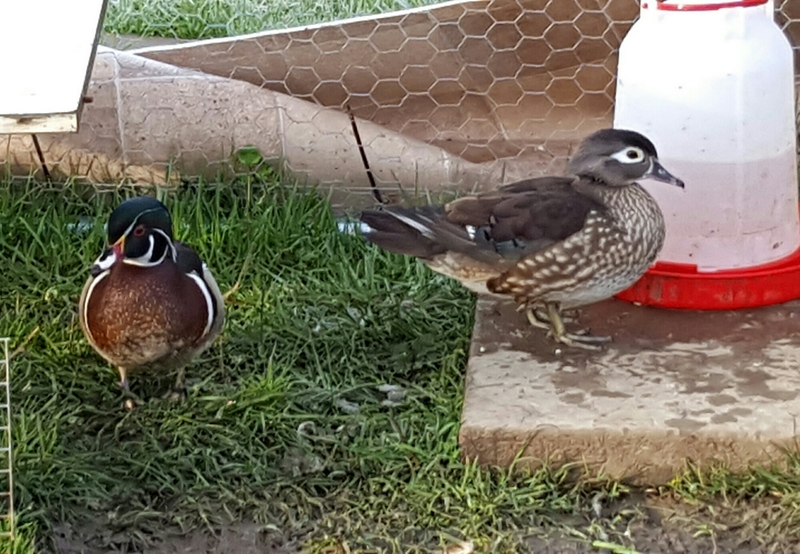 The ducks went into the orchard and the ornamentals arrived and went into the enclosure. 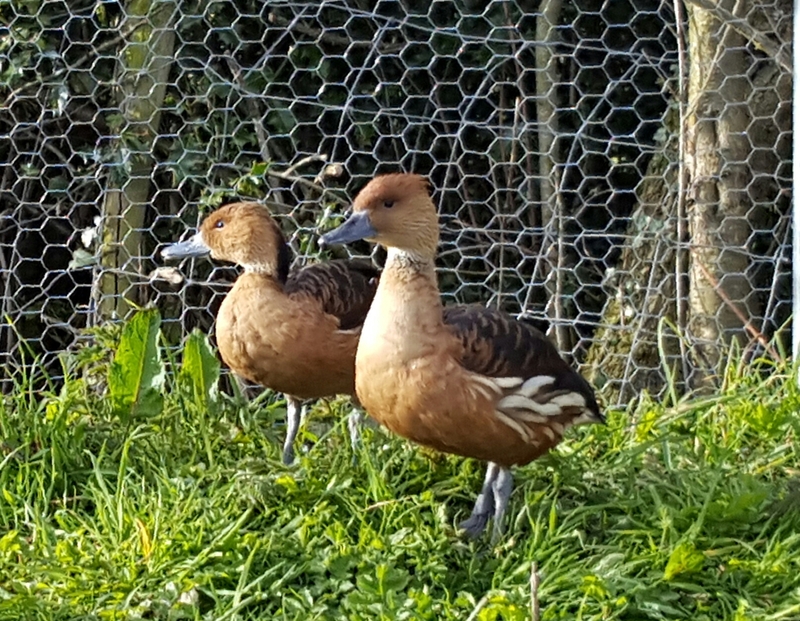 The couple thought it was great and were impressed with what would be the section of the chain link enclosure that the birds would be in (a massive 14x6m, approx 46×20 feet, with landscaped ponds etc). At that point the trench hadn’t even been dug, it was just the area marked out with rope. 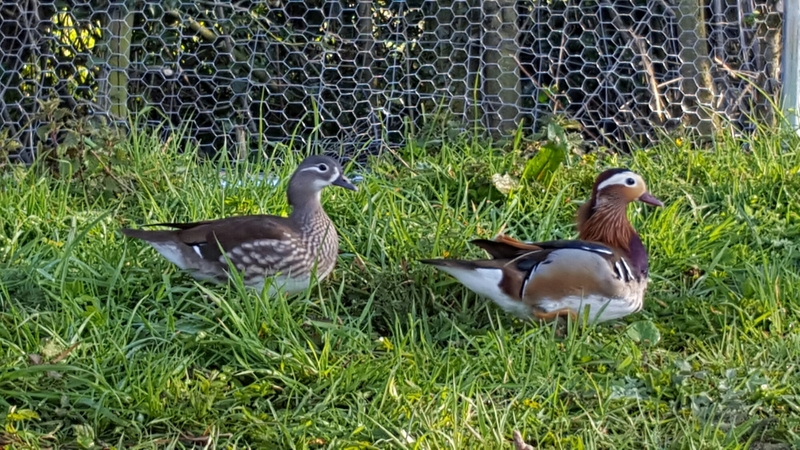 I’d already said to them that Paul would be having the pheasants and some of the other birds – and the Call ducks which he loves (and I don’t want any more hybrids). They went straight to Paul who was delighted, particularly by the pheasants. Shortly afterwards I got extra pairs and a couple of females to make pairs. & a lone Ringed Teal male (one of a pair whose mate died shortly after they’d arrived. I’ve tried several times to get him a new mate without success.) 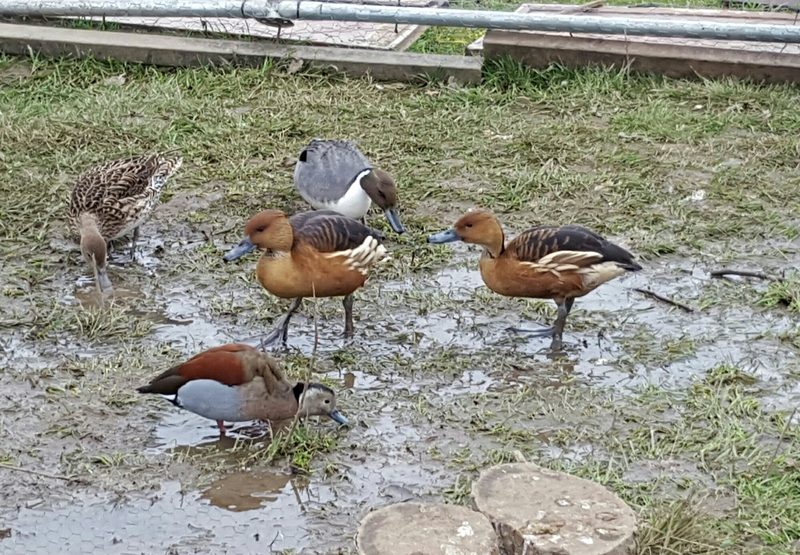 The photo shows the Pintails to the left, Fulvouses to the right and the Ringed Teal in the foreground. It was fine for a while (little movement on the chain link enclosure front with Paul not being very well) but then a major problem arose. They had clean water every day in two paddling pools. Try as I might to splosh the dirty, poo-ey water outside the enclosure much of it ran back into the middle and didn’t drain away with the ground being clay. They then enjoyed dabbling in it but as time passed it got more and more disgusting each day. The last photo shows the state of the ground before it got too bad. 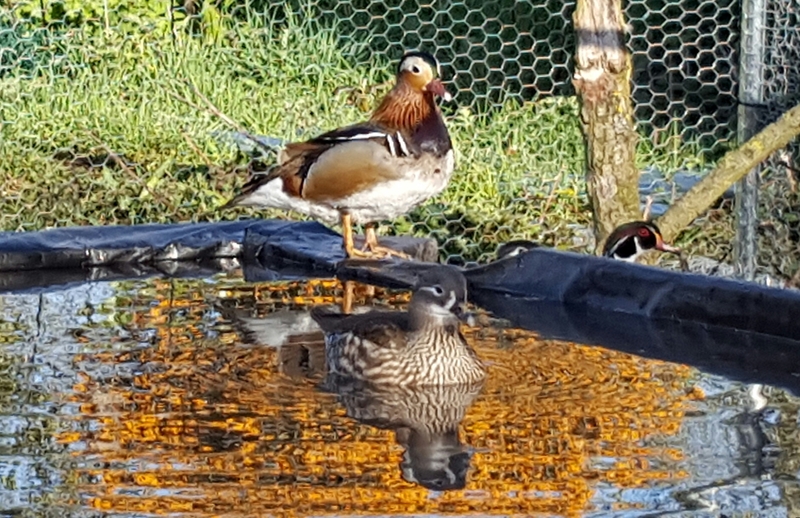 I got more and more frustrated with nothing happening with the chain link enclosure and the birds beginning to suffer – and felt a fraud when Paul was so poorly and I was worried about a few ducks – but what to do ?????? 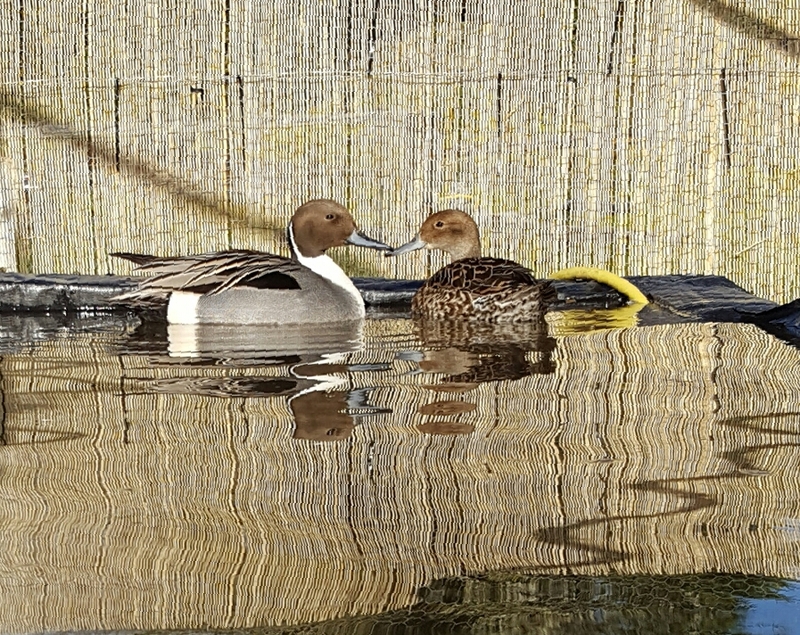 « Time to tell you about the ornamentals – Mandarin ducks, Carolina Wood ducks, Pintails, Teal, Fulvous and more!